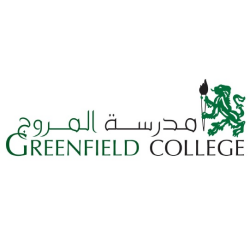 Greenfield College (GFC), signed with White Mountain Technologies (WMT) to implement Skoolee student information and school management system, in yet another step to further boost its educational environment. GFC works to provide the best for its students and to be at the forefront of the latest educational technology, moving from one level to the next in a smooth manner. In particular, when deploying a new software system, GFC is keen to integrate it into its educational environment with minimal requisite for change management. To this effect, GFC opted to go with a phased implementation of Skoolee, starting with Skoolee foundation, that is, the fundamentals and must-haves of Skoolee. This package of Skoolee covers a substantial base, providing what the school needs to manage enrollment, registration, courses, grading, grade books, account receivables, teacher and student data and actions, and other functionality. It puts aside, for the time being, good-to-haves such as alerts, communication platforms, bus transportation, and integration with other third-party software in the school. Of course, GFC highly stresses the need to seamlessly consult the school’s data across the years, from any date to any date, without having to hop from one software or data storage system to another. This migration of historical data is a key service that White Mountain offers, further supporting Skoolee as a complete and independent platform. For more info or a 15-minute presentation about Skoolee software, contact us directly or submit the online request form at www.WhiteMountainTechnologies.com/connect-with-us. Copyright © 2019, White Mountain Technologies s.a.l. All Rights Reserved.